In a study that challenges familiar Western modes of thought, Jacob K. Olupona focuses on one of the most important religious centers in Africa and in the world: the Yorùbá city of Ilé-Ifè in southwest Nigeria. The spread of Yorùbá traditions in the African diaspora has come to define the cultural identity of millions of black and white people in Brazil, Cuba, Puerto Rico, Trinidad, and the United States. Seen through the eyes of a native, this first comprehensive study of the spiritual and cultural center of the Yorùbá religion tells how the city went from great prominence to near obliteration and then rose again as a contemporary city of gods. 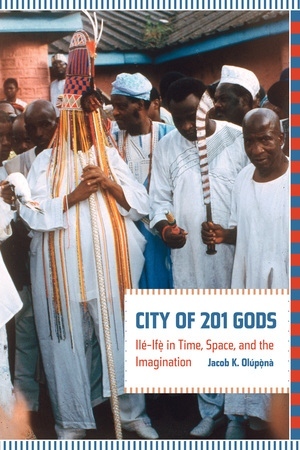 Throughout, Olupona corroborates the indispensable linkages between religion, cosmology, migration, and kinship as espoused in the power of royal lineages, hegemonic state structure, gender, and the Yorùbá sense of place, offering the fullest portrait to date of this sacred African city. Jacob K. Olupona is Professor of African Religious Traditions, African, and African American Studies at Harvard University. He is the author of Kingship, Religion, and Rituals in a Nigerian Community: A Phenomenological Study of Ondo Yoruba Festivals and has edited several books, including Beyond Primitivism: Indigenous Religious Traditions and Modernity.